Email is more alive than ever. Three billion people on the planet have email, and over one billion use it for work. This is the most widely employed form of internet communication and it also serves as an internet ID. 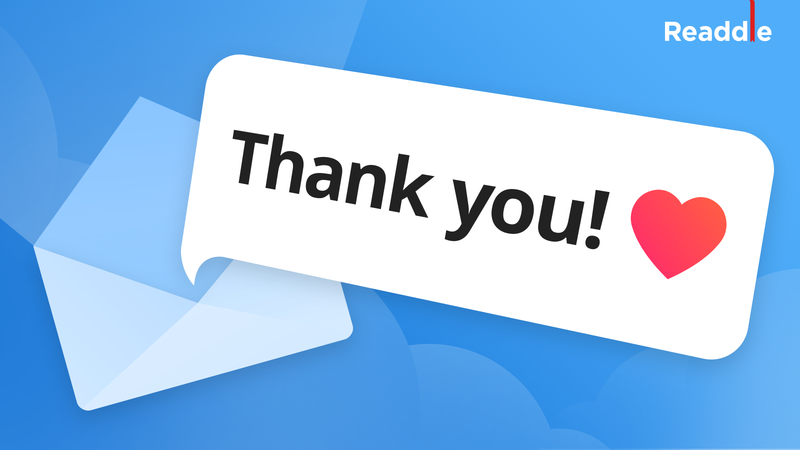 Four years ago, we decided to build an email you’d fall in love with. 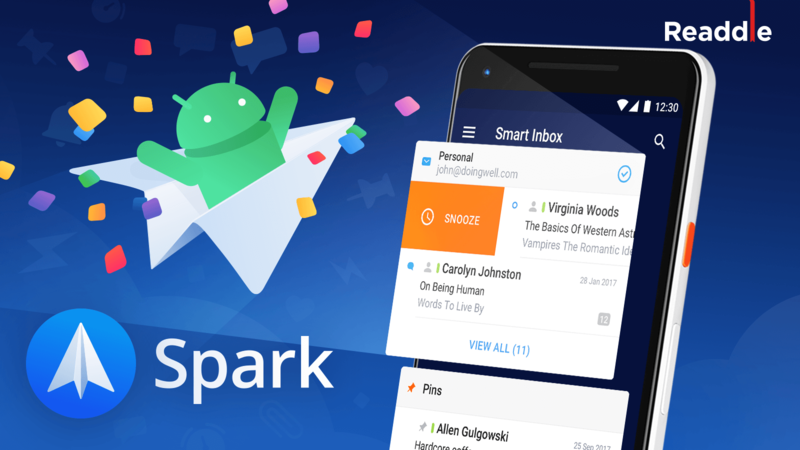 We’ve built Spark as the best personal email client for people who use it for work. Today, we’re excited to show you Spark for Teams, designed with another ambitious goal in mind: to change the way teams get things done and communicate. Since you already use email, Spark for Teams is the most elegant way to improve your team communication and email discussions. We have interviewed hundreds of teams to learn about problems they have when using email. We have gone through dozens of design iterations to come up with an elegant solution to those problems. We believe that Spark 2.0 will significantly boost your team’s email workflow. Often, you want to discuss an email with someone, ask for feedback, or request additional information from a teammate to frame your reply better. That’s why we built instant private comments in email. You can easily invite teammates to discuss a specific email or an entire thread. Ask them questions, get answers, and keep everyone in the loop. Forget about forwarding and bcc’ing. Invite your teammates to a conversation, and keep them up to date. Writing email isn’t always easy. You may not have all information available, or you simply need a second pair of eyes to proofread an important message. You no longer need to pollute your Google Drive with multiple files of email drafts or copy and paste email to messenger apps to share with your teammates. Simply invite your colleagues to a shared draft, comment on what kind of help you need and compose the email draft together using a real-time editor. With Spark for Teams, you can work together on all consolidated email towards a common goal. Many conversations happening in our inboxes need to be shared elsewhere. 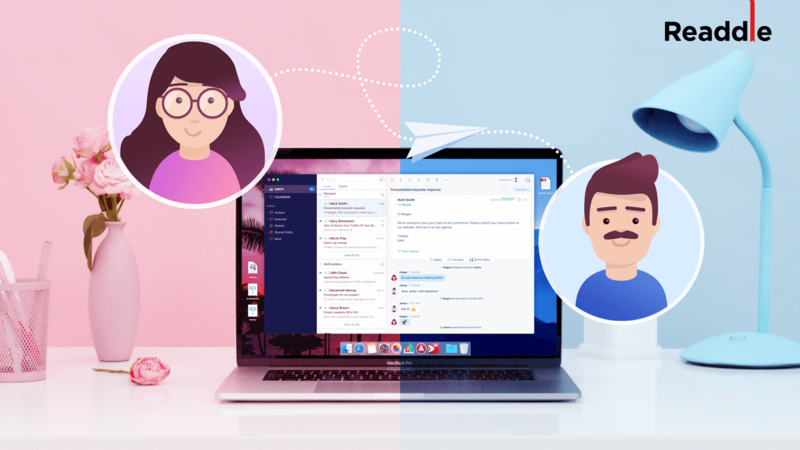 With secure links to email messages and conversations, teams are able to move information outside their inboxes to tools they rely on like Jira, Confluence, Salesforce, Hubspot and any other tool. The link automatically updates with new emails or private comments from your team. You don’t have to worry if your team has the most up-to-date information. Knowing your schedule is absolutely important while going through your inbox loaded with events and invitations “to grab a coffee sometime”. 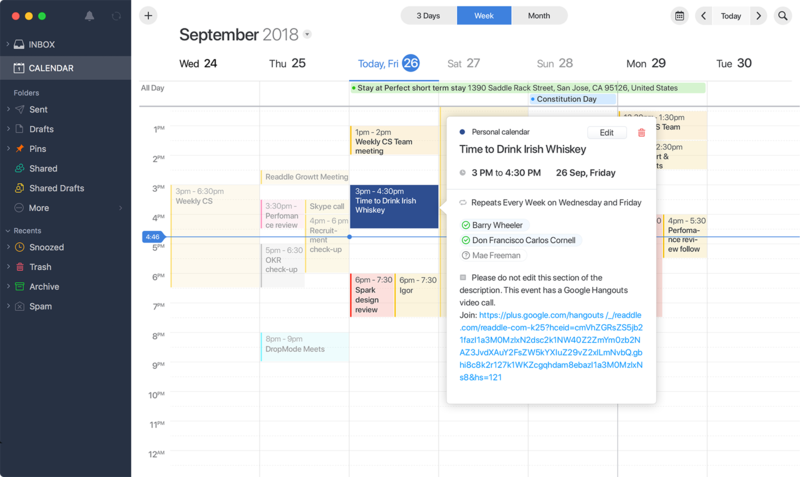 That’s why we’re introducing a full-featured calendar wrapped inside Spark for Mac. No more switching tabs or apps. Your calendar and email belong together as the two most necessary tools for busy people. All the 3rd party integrations you loved on Mac are coming on your mobile devices today. 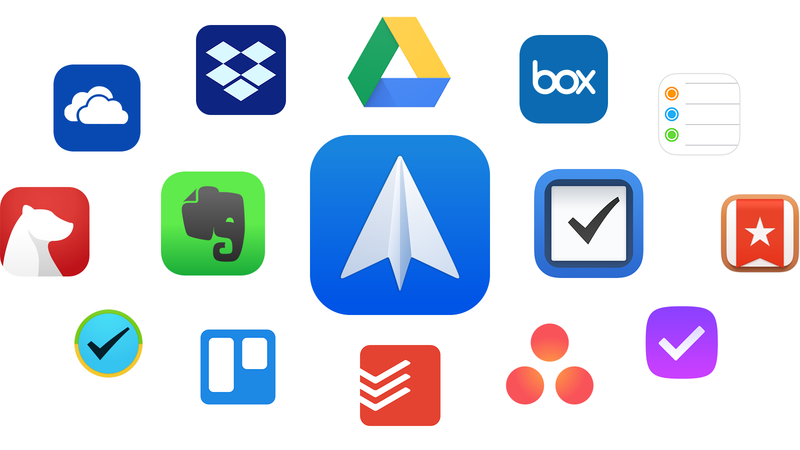 Reminders, 2Do, Omnifocus, Things, Wunderlist, Todoist, Asana, Trello, Bear, and Files are integrated within Spark to fix the disconnect between your email and task management tools. Customize input fields for each task. The whole idea behind this is to help you focus on work making it seamless and easy. We believe we’ve created the best in class email integrations you are going to love. Spark remains absolutely free for personal use. 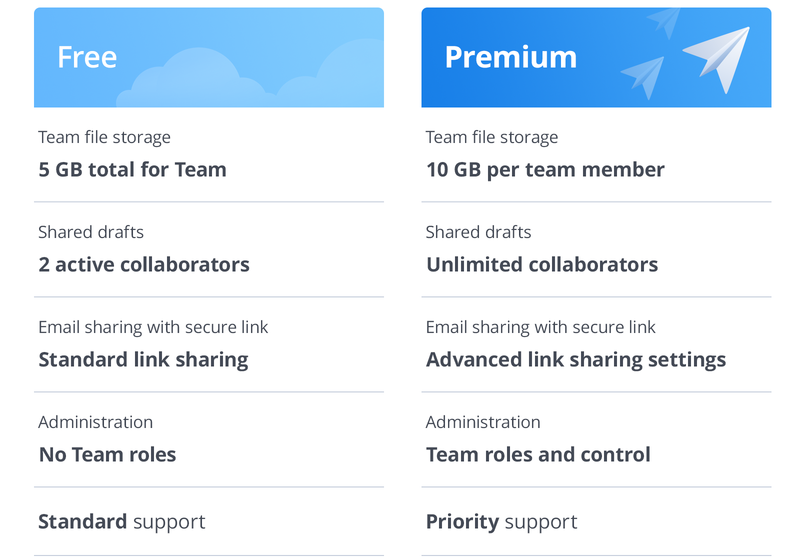 The new features like Private team discussions, shared drafts and links to email are available as free features too, so everyone can use them. For the most advanced and in-depth users, Spark Premium provides more storage for team comments and attachments, unlimited draft collaborators, and advanced link sharing on a subscription basis. Teams can upgrade to Premium for $6.39 per user/month if billed annually or $7.99 per user/month with monthly billing. Now, Spark is not only a great email client for personal use, but also an indispensable tool for team collaboration. 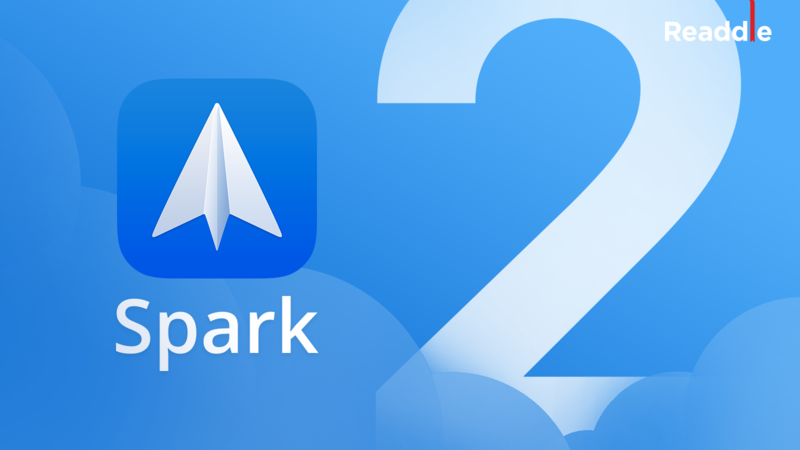 Spark is currently available for Mac, iPhone and iPad. Android app is in the works, and Spark versions for Windows and Web are also in the pipeline. For those who are curious, you can read the story of why we built Spark and what our vision of the future of email is.